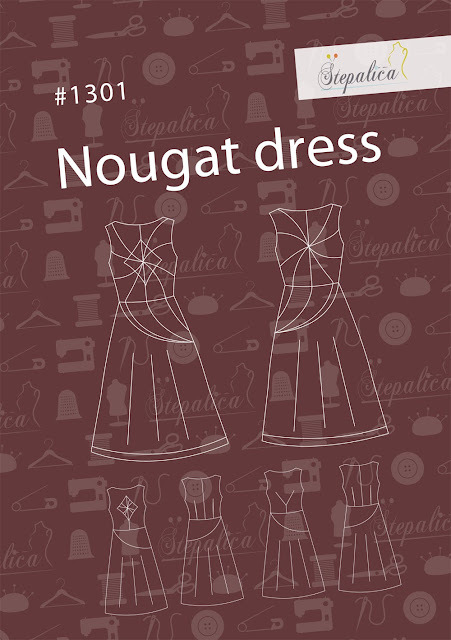 Nougat is an elegant and feminine dress, with a fitted bodice, flared skirt and asymmetrical waist yoke. 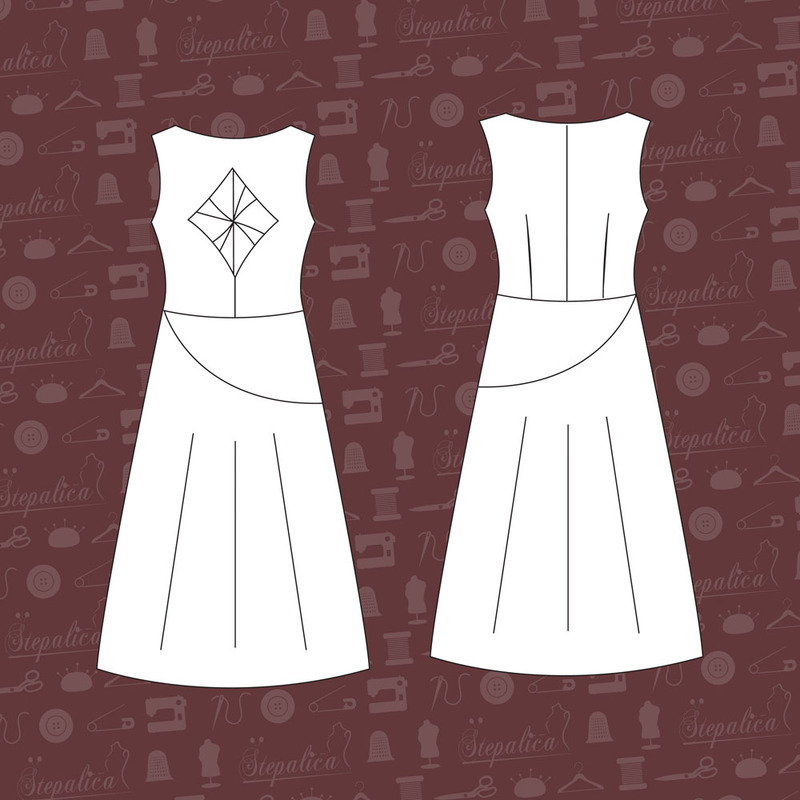 It is given in three variations to accommodate different sewing skill levels. 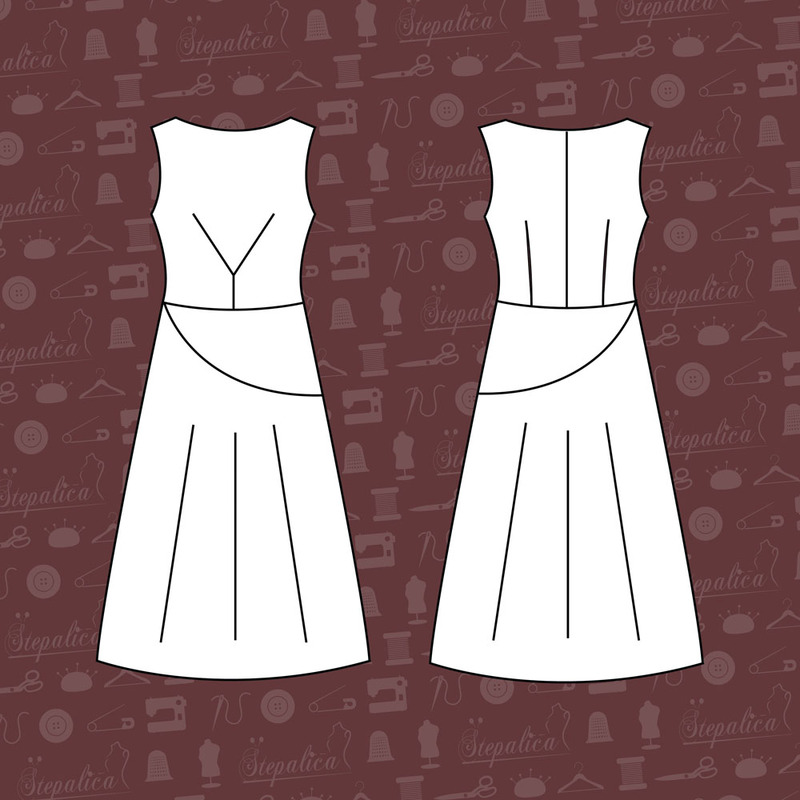 Views A and B are intended for those who like sewing unusual, challenging patterns. The twisted diamond on the bodice is an eye catching detail that adds some drama to this flowy dress. If you're in the mood for „sewing a puzzle“, view A gives you all the elements you need – numerous pieces (the shell consists of 44 pieces!) to assemble and seams to match. 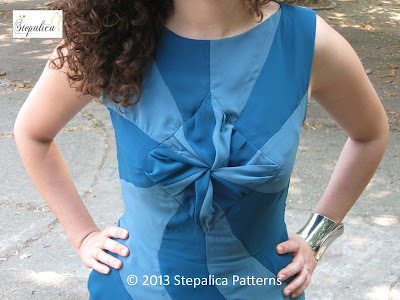 Use fabrics in contrasting colors or prints for the best visual effect. View C is intended for the ones with less patience or skills. But have no worries, the unusual seaming and bust darts on the front will result in an interesting dress. 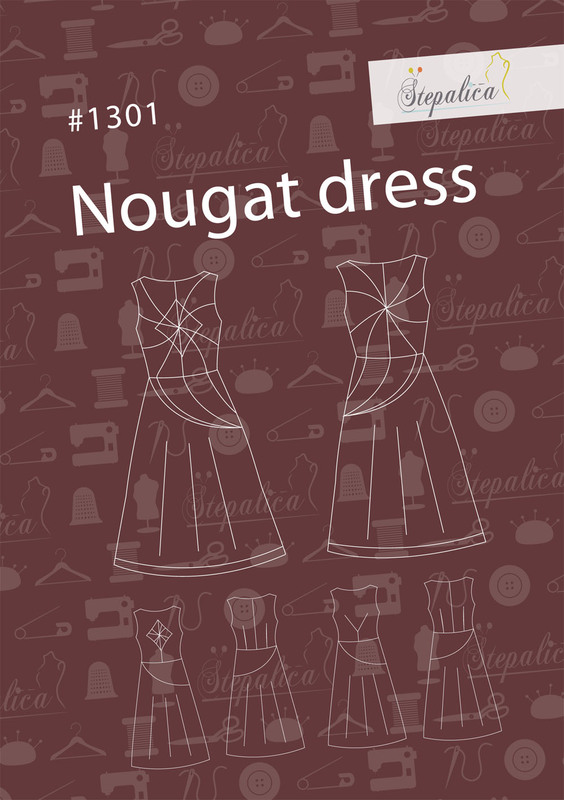 Nougat makes a perfect special occasion dress. With a blazer or cardigan, it easily transforms into an office-appropriate garment. 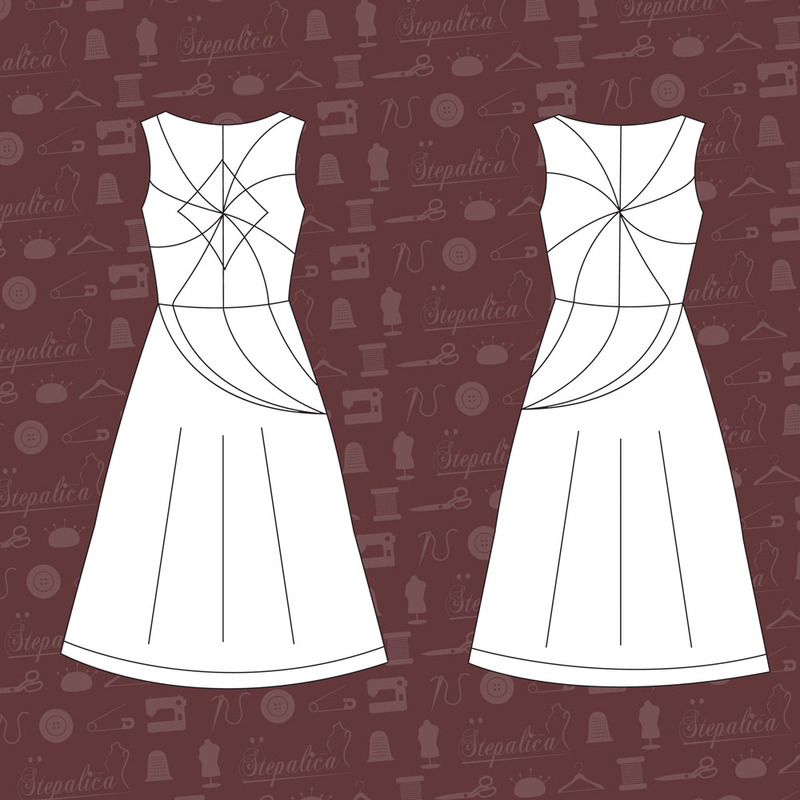 Read the Nougat dress sewalong articles for detailed info about the dress construction! When checking out, select "Other" in the payment options and I'll send you a 2Checkout invoice. Once you fill in your billing information, you can chose to pay either by using PayPal account or your credit card. You don't have to register to 2checkout and you won't be charged any additional fees. It's simple, fast and secure. Due to the nature of all digital products, all sales are final. If you have any questions on how to use the files, please contact me before purchasing. If you have problems opening the files and receive error messages, please contact me an I will correct the issue. Your privacy is highly respected. Your personal data (e.g. E-mail id, Contact Number) won't be shared with any third party which is not related with Stepalica Patterns. The pattern consists of 2 PDF files. One contains the pattern sheets, while the other provides detailed illustrated instructions for sewing. Do I need to have a specific software installed on my PC? You need to have Adobe Reader installed on your computer in order to open the pattern files. What kind of paper should I print your designs on? 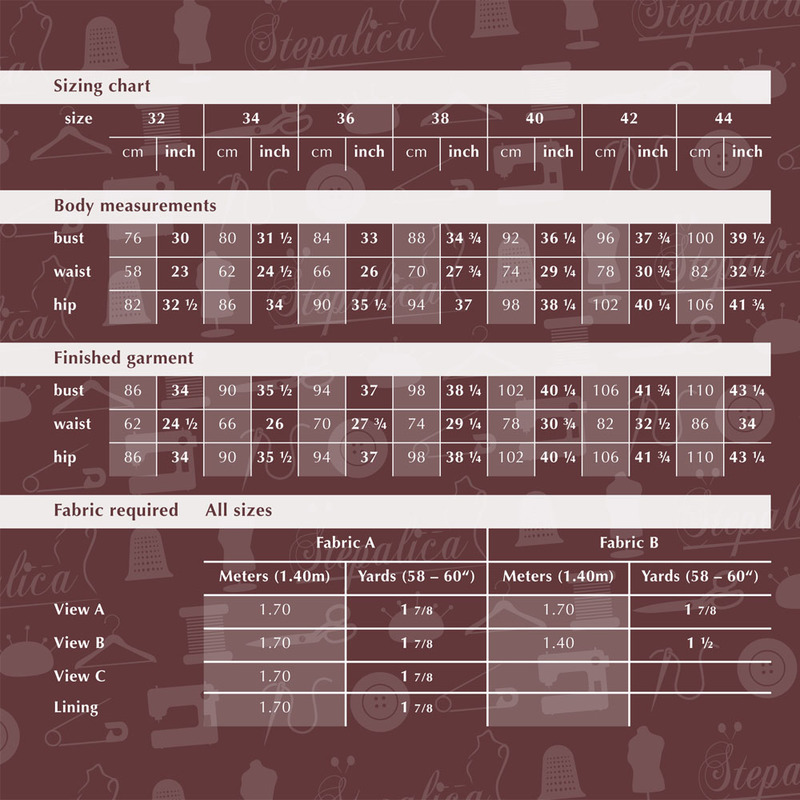 All the patterns are adjusted for printing on a home printer, on a A4 or letter paper format. Wow, simply gorgeous. However, I suggest you include pictures of the finished dresses on the pattern's Etsy page. I had no idea what to expect from the drawings when I clicked over here from Melissa F's link. The real dresses are SO much better than I imagined! Thanks for the suggestion, and for the nice words! Unfortunately, Etsy allows you to display only 5 pictures of the product. I have a workaround idea on my mind for this and will change the pics. Thanks again! They are all pretty dress options.